Unity Fest celebrated its 10th anniversary on Tuesday when it returned to the East Tennessee State University Amphitheater. 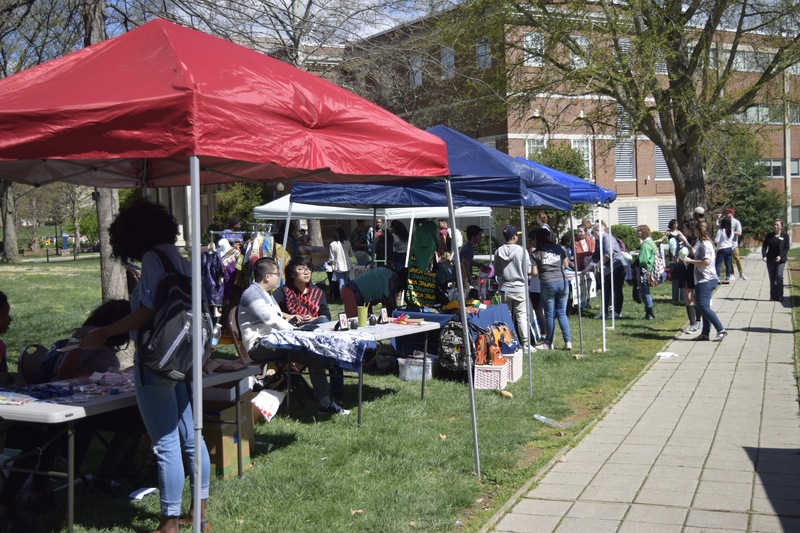 The event, which is sponsored by the Black Affairs Alliance and the Multicultural Center, aims to create cultural unity on campus. Free food and drinks were available with a live band called Natty’s Common Roots performing and a variety of booths, including free give-a-ways, were present. To promote the idea of unity, food was of Nigerian, Liberian, Middle Eastern, Hispanic and Chinese cultures. Booths present included Black Affairs, South Asian Cultural Exchange, Chinese Student Scholars, National Panhellenic Council, Muslim Students, Quest, the Language and Cultural Resource Center, Umoja, Kappa Delta, Hispanic American Student Community Alliance, Alpha Delta Pi, A Little DAB, Taylor Made Barbers, International Buccaneer Buddy Program and Student Abroad. It was the first time that Rana Zakaria, who ran the Muslim booth, had attended Unity Fest. Her booth included a board of all Middle Eastern countries and facts that not many people know about the areas as well as traditional clothing for people to try on. One fact in particular on her board was that, in two-thirds of Middle Eastern countries, more women than men attend university. Zakaria says that she will be attending the event again next year. Other booths involved fun games, like jenga at the Hispanic American Community Alliance booth, as well as jewelry and clothing at others. Visitors could even see haircuts at the Taylor Made Barber Shop booth. 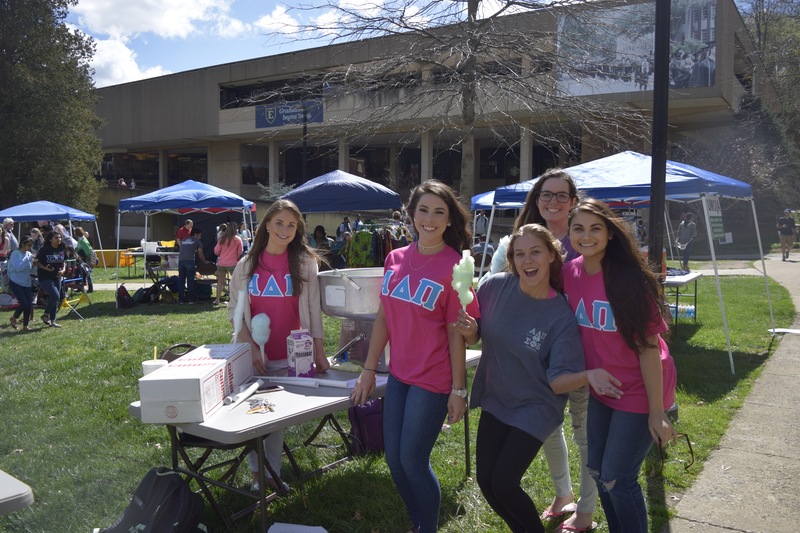 With a diverse turnout of students in attendance, Unity Fest lasted from 10:30 a.m. to 4:30 p.m.
Here’s to another 10 years of unity at ETSU. Brittnee is a sophomore from Elizabethton, Tennessee. She is a Journalism major and an English minor.